Jelena Sredanović is exhibiting at the Triennale of contemporary prints, Museum of Fine Arts, Le Locle, Switzerland, 21.06.15−18.10.15. In 2015, the Museum of Fine Arts will hold the 8th Triennial of Contemporary Prints and bringing together twenty contemporary artists, selected by an international panel of experts in contemporary art. Jelena Sredanović is featured artist in New Print 2015 Summer exhibition in International Print Center New York, which will be on view at 508 West 26th St, 5th Floor, from June 11 – July 31, 2015. This is fourth time that Jelena Sredanović is honoured to be invited to participate in exhibitions at International Print Centre in New York. 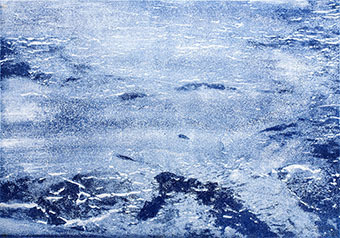 The exhibition consists of forty-six prints by thirty-nine artists, selected from over 2,000 submissions. This show was selected by: Grayson Cox (Artist, Professor), Jennifer Farrell (Associate Curator, Department of Drawings and Prints, The Metropolitan Museum of Art), Tom Freudenheim, Evelyn Day Lasry, (Two Palms, NY), William Steiger (Artist), and Barbara Takenaga (Artist, Professor). A print by Jelena Sredanović featured in “IPCNY’s “50:50 | New Prints 2015/Winter” exhibition. International Print Center New York (IPCNY) presents 50/50: New Prints 2015/Winter an exhibition featuring forty-five prints by thirty-four artists selected by a committee of print specialists from over 2,000 submissions. Opening IPCNY’s 15th Anniversary year, 50/50: New Prints 2015/Winter is the fiftieth in this unique exhibition series. The Small Print Form Exhibition is a regular annual manifestation of Grafički Kolektiv since year 1991, whose main aim is popularizing graphic art. 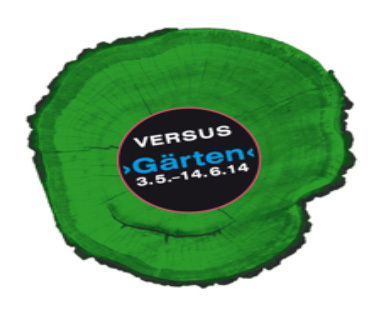 The organization of the exhibition is directed by the Art Council of Grafički Kolektiv and all works are judged by a jury which also announce winner of the Small Seal Award of Grafički Kolektiv. 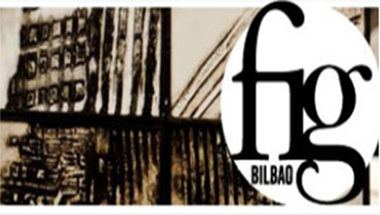 The members of the jury for the Small Seal Award 2014, are chosen by the organizer, out of distinguished artists Milica Žarković, Slavko Milenković and art historian Miroslav Sapundžić. Beside the Small Seal Award, there are three Purchase Awards which are given by Ministry of Culture with the consent of the Art Council. Winner of the Small Seal at the Small Print Form Exhibition 2014 is Lidija Antanasijevic for the print Inventory. Winners of the Ministry of Culture Purchase Award are Jelena Sredanović, Aleksandra Rakonjac and Marija Grahovac Karan. Jelena Sredanović is awarded by the Ministry of Culture Purchase Award at the Small Print Form Exhibition 2014 for her work Between water and clouds. 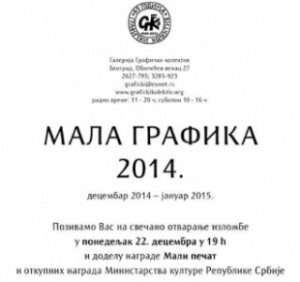 Exhibition of drawings of Teachers and Associates of the Academy of Arts University of Novi Sad inspired by the works from the Pavle Beljanski Memorial Collection runs until 30th November. 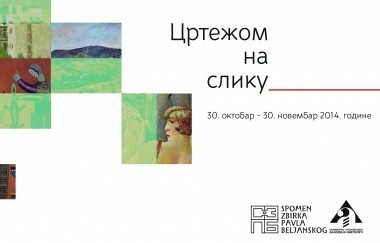 The exhibition Crtežom na sliku is the result of long-term cooperation between institutions the Academy of Arts in Novi Sad and the Pavle Beljanski Memorial Collection. 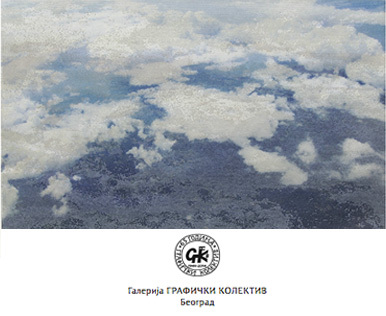 The works of seven artists, teachers from the Department of Fine Arts: Slobodan Knežević, Zvonko Tilić, Radovan Jandrić, Zoran Todorović, Anica Radošević, Zoran Grmaš and Jelena Sredanović are exhibited in the permanent exhibition of the Pavle Beljanski Memorial Collection, very close to the works from which they were inspired. The project manager: Jelena Sredanović, a project coordinator: Julijana Stojsavljević. 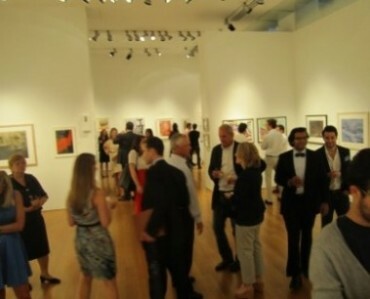 International Print Center New York presents New Prints 2014, on view at Christie’s in Gallery 6, 20 Rockefeller Plaza, New York, NY, from July 9 – July 16, 2014. Gallery hours are 10am – 5pm, Monday-Saturday and 1pm – 5pm on Sunday. The exhibition consists of ninety-eight projects by eighty-five artists originally included in New Prints 2014/Winter and New Prints 2014/Summer at IPCNY. 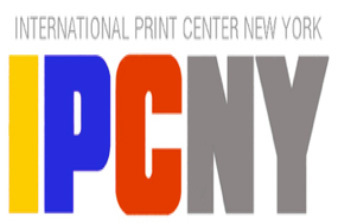 The New Prints Program is comprised of a series of juried exhibitions organized by IPCNY three times each year featuring prints from all sources made within the past twelve months. 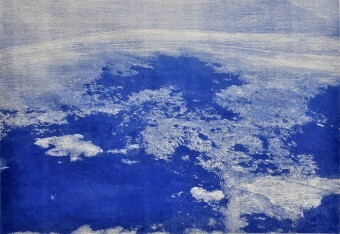 International Print Center New York presents New Prints 2014/Summer, on view at 508 West 26th St, 5th Floor, from May 30 – July 1, 2014. Jelena Sredanović is one of the featured artist in the exhibition consists of forty-nine artists and was selected from over 3,000 submissions. New Prints 2014/Summer is the forty-eighth presentation of IPCNY’s New Prints Program, a series of juried exhibitions organized by IPCNY several times each year featuring prints made within the past twelve months. An illustrated brochure with a curatorial essay by Kit White accompanies the exhibition. The show was selected by: Rosaire Appel (Artist, Writer, Bookmaker), Miranda Leighfield (Director, David Krut Projects), Susan Lorence (Private Dealer), Frederick Mershimer (Artist, Teacher), Madeline Stratton (Cataloguer, Prints and Multiples Department, Christie’s, NY), and Kit White (Artist and Professor). 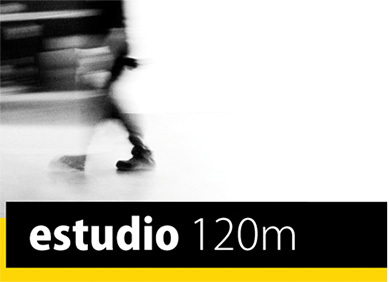 Artists in the the show: Brian Curling, Christine Ebersbach, Bettina Haller, Susann Hoch, Stephanie Marx, Gabriele Sperlich, Jelena Sredanović, Magda Szplit und Robert Würth. 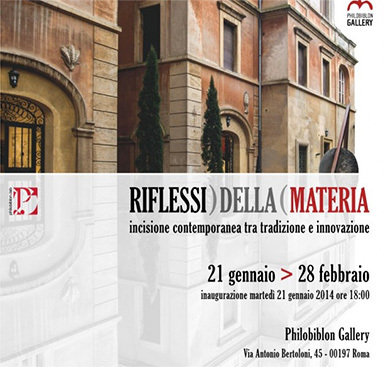 Artist in the show: Ciro Agostini, Antonio Alcaraz, Bruno Aller, Carlo Ambrosoli, Maryam Bakhtiari, Alfredo Bartolomeoli, Francesca Bellussi, Davide Benati, Gianna Bentivenga, Maria Pina Bentivenga, Marina Bindella, Giuseppe Bonito, Claudia Canavesi, Virginia Carbonelli, Daniela Cataldi, Malgorzada Chomicz, Alessia Consiglio, Raffaele De Rosa, Patrizio Di Sciullo, Elisabetta Diamanti, Grant Ditzler, Slavica Dragosavac, Marisa Facchinetti, Alessandro Fornaci, Marcello Fraietta, Andrzej Fydrych, Nadia Galbiati, Omar Galliani, Yuliya Galycheva, Cecilia Maria Giampaoli, Roberto Gianinetti, Danielle Grosbusch, Alicja Habisiak Matczak, Vladimir Ivaneanu, Dariusz Kaca, Sanna Maija Laaksonen, Stefano Luciano, Isabelle Lutz, Vittorio Manno, Elio Marchegiani, Frank Martinangeli, Giovanna Martinelli, Barbara Martini, Simona Materi, Elena Molena, Mauro Molle, Riccardo Murelli, Catherine Nelson, Christopher Nowicki, Andrea Pacini, M. Clotilde Palasciano, Silvia Paparatti, Silvia Papucci, Laura Peres, Giovanni Piccini, Raffaella Ravelli, Angelo Rizzelli, Yvonne Rodesch, Egidijus Rudinskas, Usama Saad, Nicoletta Scilimati, Anna, Sobol Weyman, Jelena Sredanović, Marianne Steichen, Noriko Uriu, Kestutis Vasiliunas, Dariusz Vasina, Carlo Venturi, Giuseppe Vigolo, Vinita Voogd, Krzysztof Wawrzyniak, Giulia Zingali.